La Paz is the highest metropolitan area in the world and perhaps also the most mountainous. I’d initially made my way south already, but I had to return to the city again because my tire blew up. It got fixed pretty quickly, but then I was clumsy enough to leave my credit card in an ATM, for which I needed to wait another week before the machine would be opened. A perfect opportunity to explore some of the remarkable landmarks that surround the city. 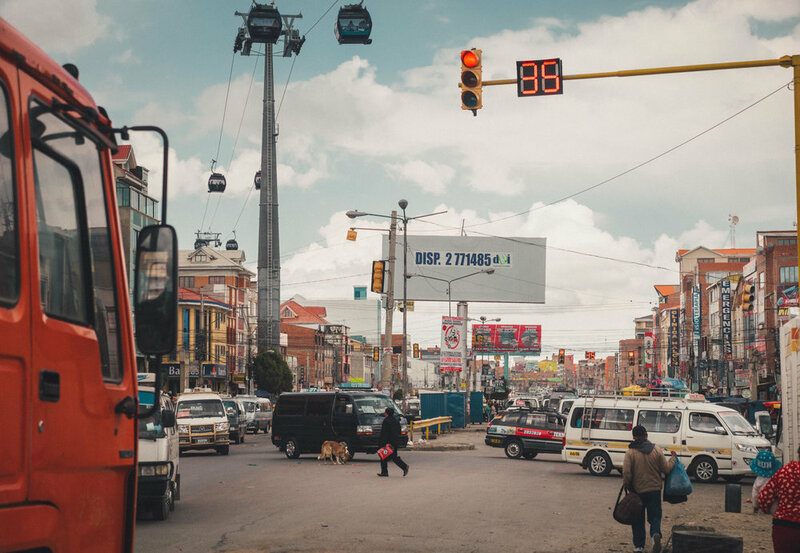 Reaching La Paz through El Alto on the altiplano is quite an experience. El Alto is the neighbouring city of similar size. 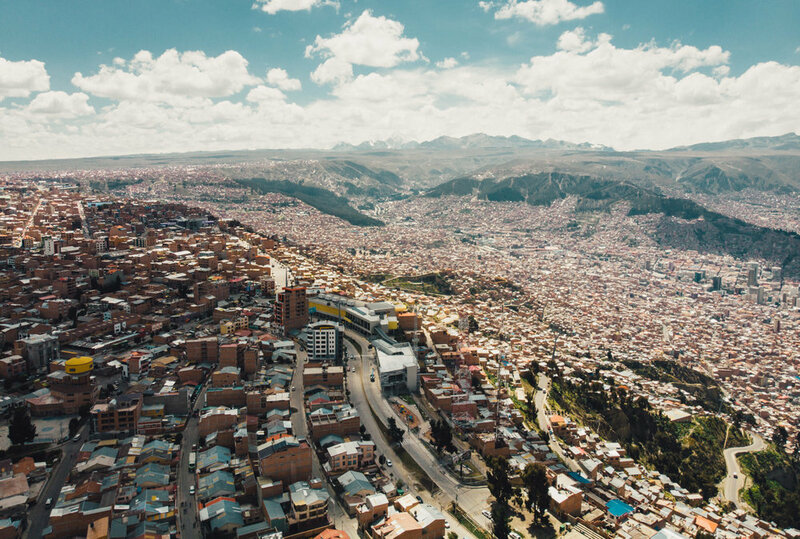 One straight highway cuts through the endless chaos of suburban area and leads to the very the edge of the altiplano, which is where the streets of La Paz start and go almost vertically down in the valley. It takes a lot of time to get around through the dense traffic. 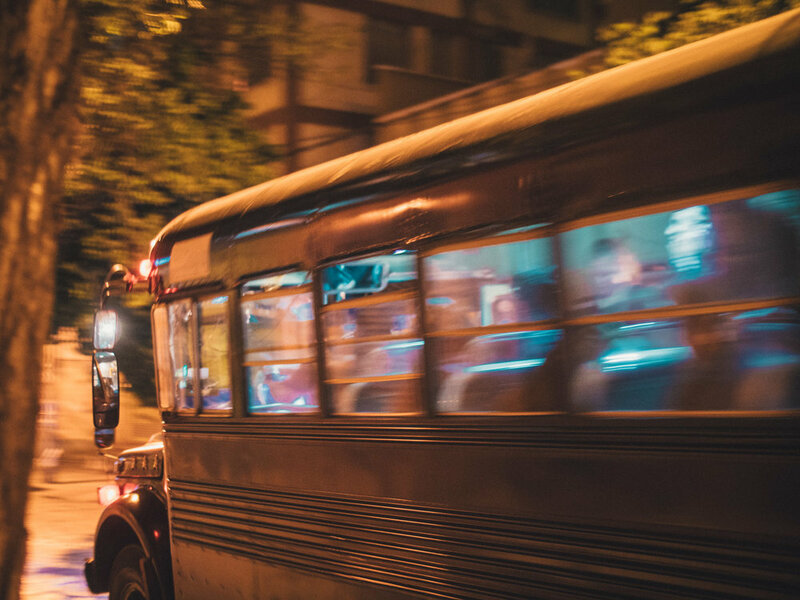 The majority of people commute via public mini busses which clog the streets in uncontrolled numbers. There are no busstops, they stop anywhere where people want to get in or out. Riding a bicycle that means you will be cut off a few times a minute, or cycle on the far left of the road, which doesn’t feel much safer. 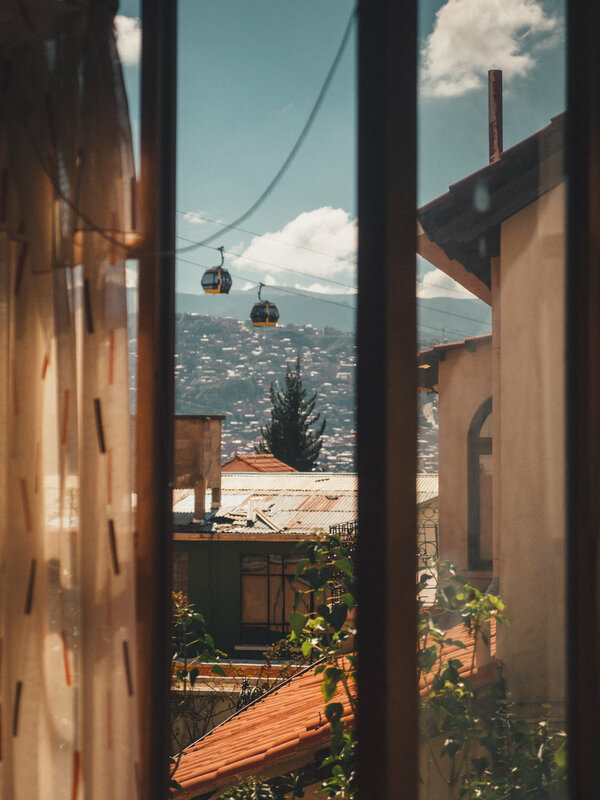 Once in La Paz, luckily there is Mi Teleférico, a cable car system which connects the city through the sky. It’s the most enjoyable way of public transport I’ve ever experienced, away from the everyday noise. The views are spectaculair as you float over the neighbourhoods, peaking into people’s backyards. One ride is only $0.43. For an extra ticket you can take your bike with you, but for obvious reasons bikes are sparse here. I’m staying in Sopocachi, which is described as the artistic, bohemian neighbourhood. There’s a variety of great restaurants and coffee places. It’s a good alternative to El Centro, which is much more crowded and touristic. Also here I find a bike mechanic at Gravity Workshop. There’s a big tear in both the tire and the tube. The tire is stitched and has a small piece of plastic glued on the inside that needs prevent it from tearing further apart. 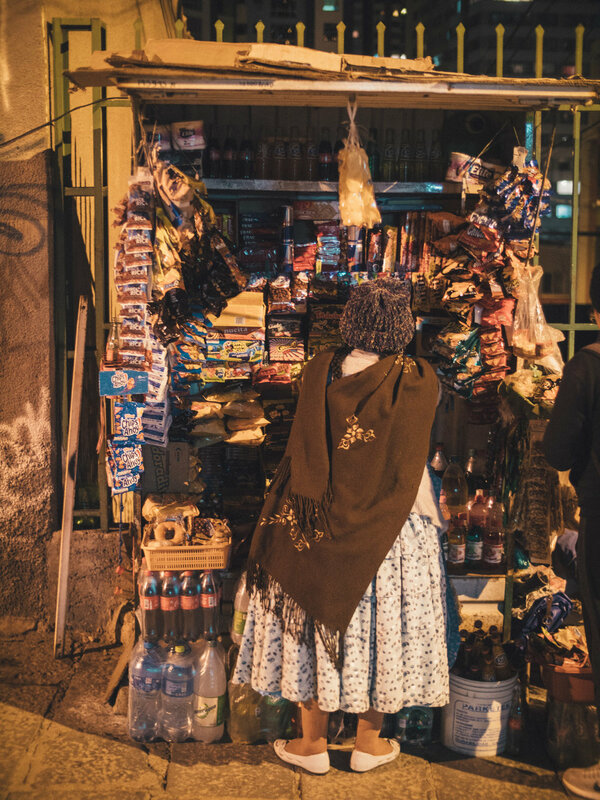 If you are passing through La Paz, Alex (@_the_choxx_) is your man. He speaks English too. Avenida Juan Pablo II, the main road through El Alto towards La Paz.